Whether you鈥檙e hosting Easter dinner for the first time or you do it every year, this is a holiday where you can never go wrong with the classics. These recipes are the tried-and-true dishes that everyone has come to expect (and love!) on the table. 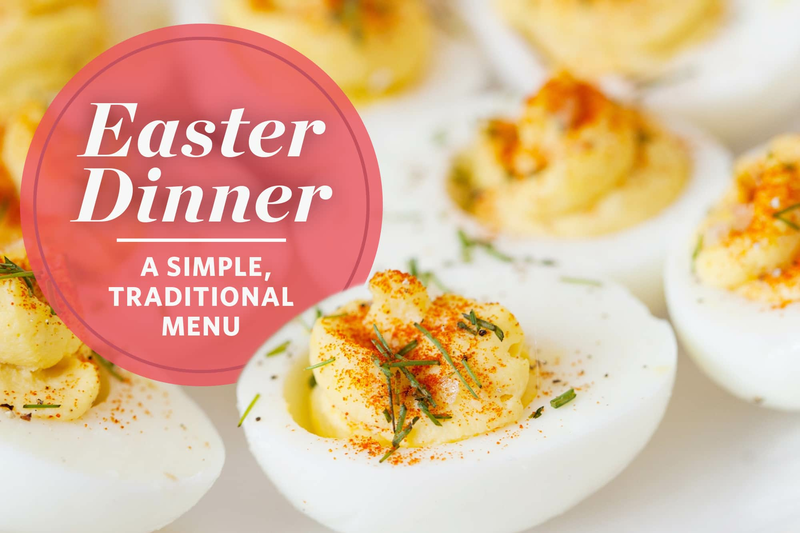 From glazed ham and deviled eggs, to scalloped potatoes and a lemony dessert, here is your essential menu for a simple, traditional Easter dinner everyone will enjoy. This menu for Easter dinner hits all the high notes you鈥檇 expect from a traditional springtime holiday celebration. It鈥檚 designed to be classic, with simple, straightforward dishes with some make-ahead potential. The recipes make enough to comfortably serve about six to eight people. This menu looks very much like the one my family serves (and looks forward to!) every year. A chilled crisp white wine is always a nice pairing with ham and all the accompaniments, but this is a celebration, after all, so go ahead and mix up a simple springtime cocktail. 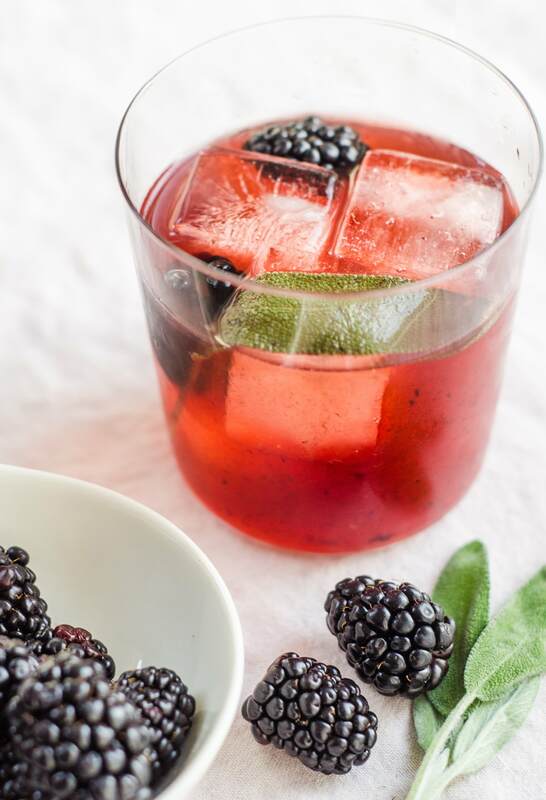 The Hint of Spring, with Rum, Blackberries & Sage: This seasonal cocktail has just the right balance of fruity, herbal flavors with a pop of lemon. Frozen blackberries will work just fine in place of fresh, and it helps to get a head start by prepping the simple syrup in advance. How To Make Deviled Eggs: I really can鈥檛 think about Easter without thinking about deviled eggs. They鈥檙e a classic, and have been a mainstay at my family鈥檚 Easter dinner for as long as I can remember. They can even be prepped ahead of time, although it鈥檚 best to wait until just before serving to add the filling. These are all the traditional favorites you expect to see on the table for Easter. It鈥檚 all here 鈥� everything from the salty-sweet spiral ham to the vegetable sides. 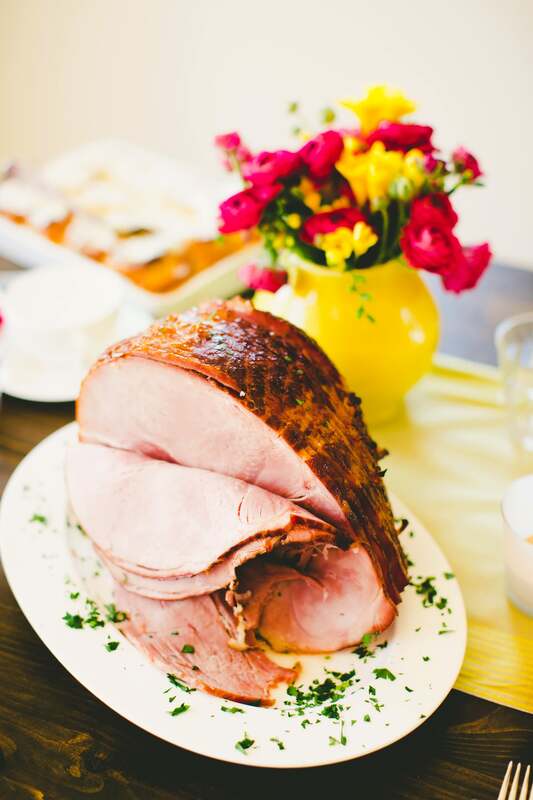 Honey-Glazed Ham: Easter is not Easter without a classic glazed ham at the center of the table. Starting with a spiral-cut ham is our top pick since it鈥檚 already pre-cooked and really just needs to be heated for a couple hours and glazed. If space is an issue, you can also make your main in the slow cooker. And we can鈥檛 recommend this easy five-ingredient brown sugar-honey glaze enough! Scalloped Potatoes: A creamy, bubbling dish of scalloped potatoes is a rich side that always has a place at the holiday table. It鈥檚 pretty indulgent on its own, but should you want to take it up a notch, nobody at the table would complain if you were to mix in some cheese. How To Make Glazed Carrots: Coated with a gentle slick of brown sugar-and-orange glaze, these carrots are surprisingly quick to pull together, and always wow everyone around the table. Lemon-Pepper Asparagus: Roasted asparagus is a simple side to pull together at the last minute, and this recipe goes from good to great with a squeeze of fresh lemon and cracked black pepper. Just say yes to rounding out your Easter dinner with a sunny lemon dessert. To make sure I鈥檓 not in the kitchen all day, I always stick with something that鈥檚 easy to pull together (yet looks really impressive) and can be made in advance. 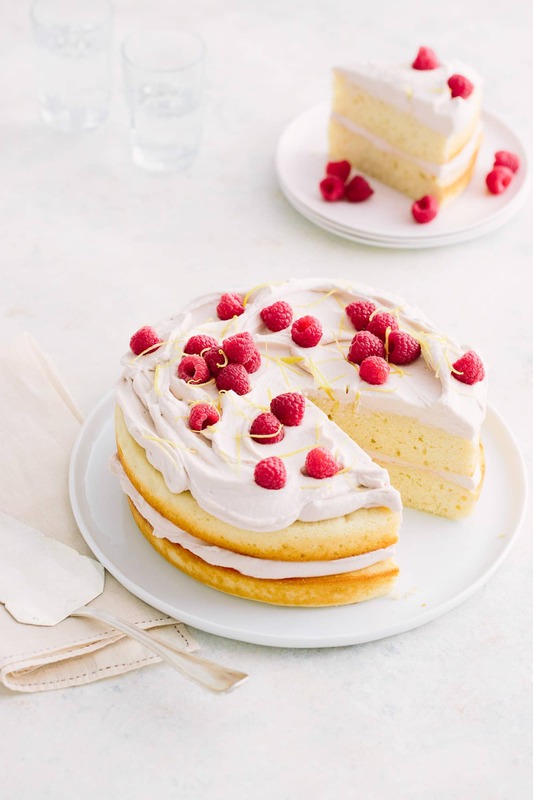 Easy Lemon Cake with Whipped Raspberry Frosting: This one-bowl recipes proves that making a layer cake isn鈥檛 always fussy. Here lemon cake is partnered with pillows of just-sweet-enough whipped raspberry frosting, and finished with a pretty fresh fruit and lemon zest garnish.